Short post for the non-New Yorkers! If you are traveling here from out of town, there are affordable places to stay. Really! 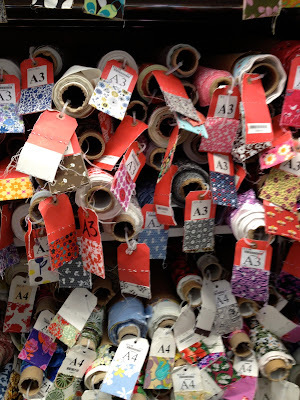 Now that someone has taken the time to write an entire article about it, I can just share the link with you, and you can make your New York City Garment District Tourism dream a reality! It exposes you to the merchants you might not otherwise find on your own, unless you begin your own personal exhaustive research. It exposes those fantastic merchants and their wonderful products to you. Oh... and you can shop in an energetic, fabric-loving group. Oh... and you can have a great route mapped out for you already. Oh... and you can have a great lunch. Oh... and things I can't tell you here. That's why it's a "speakeasy". I'm excited to see all of you who have registered on Friday! Yesterday, I took a client on a private tour of the garment district, showing her the best places for the kinds of things she loves. While we could have spent a week visiting stores that would have delighted her, we settled on a specifically curated (by me) selection of stores, which she adored. I, for one, felt like a fabricaholic in a sea of temptation... but I resisted the urge to splurge, just deciding on a few things I will be picking up after the snowy weekend passes... Yeah, I know... stop it - you're not the boss of me! I've had quite a bit of coffee today... can you tell? 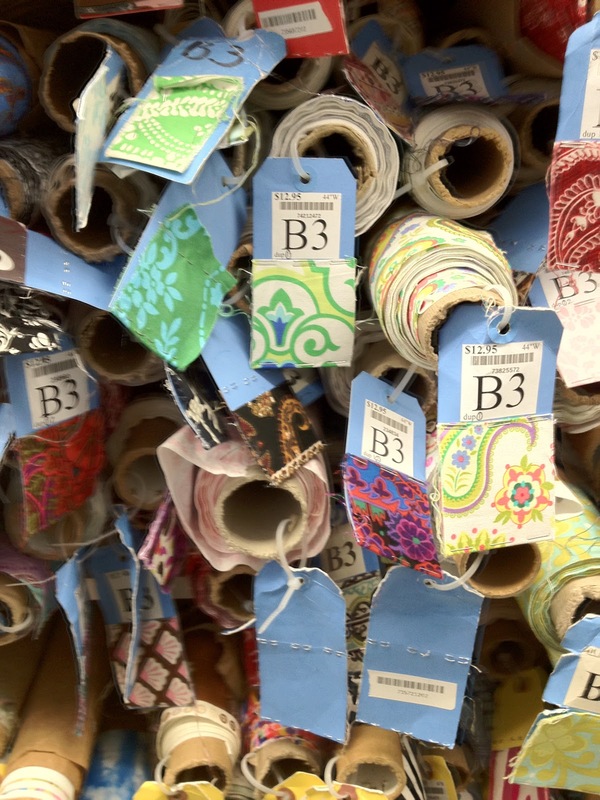 We also stopped into Royal Fabrics. While not one of my usual haunts, we were lured in by the windows, featuring a beautiful cotton lacey 1960's inspired... I dunno what you'd call it. Very cool though. Cue Goldie Hawn and some go-go boots, and we're on! All kidding aside, they really do have some very pretty things. Spandex House. Need I say more? If you want to make a swimsuit, this is where you go for your fabric. The colors, variety, prices and quality are fantastic, so that one was a no-brainer. DIY Fabrics for home dec fabulousness. I am almost certain the sign on the store read "DIY", and I've even called it "DIY" myself, but I think their business card or something may have read "Day to Day" In any case. This post, and the one it is linked to, will still get you to the proper place on the planet. Mokuba Ribbon. A deep sigh. I have written an article in the current Vogue Patterns Magazine about this land of wonder. An audible sigh was heard from my client as she explored the beauty of their offerings. Don't just look. Touch. You'll be a believer. SIL Thread. Because they have plenty of what you need when it comes to thread, among other things. Panda - Because they have lots of supplies and tools people need. Daytona Trimming - Because I've been going there since I was little, and it feels like home to me. I love their old-fashioned approach to business, and that they've got all the swim cup sizes, and crazy-wide elastic! Steinlauf & Stoler - Because they have quite a range of interfacing types. 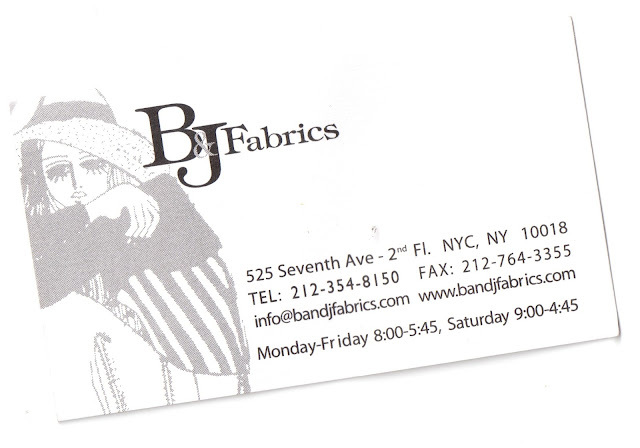 I buy my muslin and pattern paper there, too. Joyce - Because they are all kinds of awesome! And they have all of the handbag stuff, swimwear D-rings and cool closures, feathers, and leather trims. 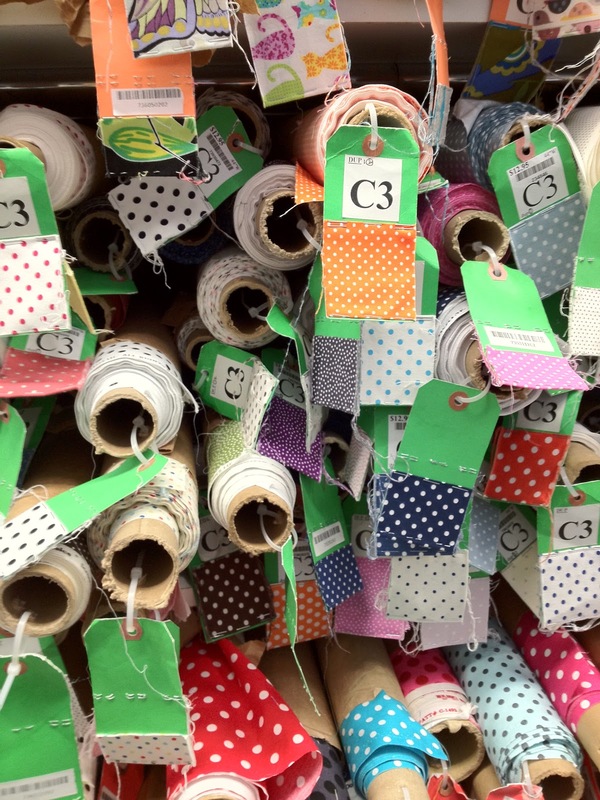 Metro fabrics - with a deep sigh. Right now... and I mean RIGHT NOW. The texture and sheen of some of the new fabrics he's got are awesome. Ask Kashi to show you the new turquoise silk... He'll know what you mean. Heaven... Also, look at the dotted/spotted pearl shade of silk that looks like a home dec fabric or a jacket. Absolutely to die! Fabrics & Fabrics (formerly Lace Star) - Psst... Just take a gander at the printed silks right now. Oh, and EVERYTHING ELSE! So, yes. We squeezed that into ONE day, and it was a FLOOD of information and inspiration. We both loved every minute of it, though. I haven't been pushing the Speakeasy tours lately, since both are nearly at capacity now, but you may still inquire, or ask to be notified about any trips to be planned for later dates.